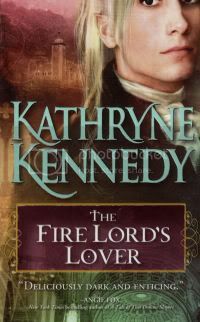 Today I welcome Kathryne Kennedy, the author of The Fire Lord's Lover. This great historical fantasy romance. At the bottom of this post is a giveaway for 2 copies. Tell me something about yourself, so we get a better understanding about the woman behind the author. I grew up in the Air Force, so we traveled quite a bit when I was younger. My only constant was family, so they are very important to me. I’ve been married over thirty years, have two sons in college, who I’m very proud of. I’m fiercely loyal, a bit of a control freak, and I love meeting new people. My mother is like one of those earth goddesses, very nurturing and caring, and my father (who I lost last year) was a businessman with a high level of ethics and morals, and loved giving to others (they are both heavily involved with the Lions Club). I’m fortunate to be able to say that I inherited a bit of both of their qualities. Your newest book is called The Fire Lord’s Lover; can you tell me what it is about?It’s the first book in my new series, THE ELVEN LORDS, about a Georgian England that has been taken over by seven mad elves who use their magic, and humans, in their war games to win the king, who has become nothing more than a trophy. Humans and half-breeds have formed a Rebellion to free themselves from the oppression of elven rule, and In THE FIRE LORD’S LOVER, Lady Cassandra was trained as an assassin to murder the fire lord. In an arranged marriage to General Dominic Raikes, a general in the lord’s army, she gets close to the elven lord, but unfortunately, a bit too close to Dominic. Despite good reasons to keep their distance from one another, Dominic & Cassandra fall in love, imperiling not only the Rebellion’s cause, but also their very lives. How come this mix of fantasy and romance? I combine everything I love; historical, fantasy and romance. I find it exciting to create new worlds and new adventures, with that first rush of falling in love as an equally important part of the story. I see that you have written a lot of other books. Could you tell me about those? MY UNFAIR LADY, a Victorian romance of complete fun, was published a few months ago, and there may still be a copy or two on bookstore shelves. In December of this year, my first novel, BENEATH THE THIRTEEN MOONS, will be available in MM paperback, and this book takes place on a different world of magic and romance. I also wrote THE RELICS OF MERLIN series, which is another alternate magical England, about the descendants of Merlin in the Victorian era. Who is your favorite hero or heroine from your books? What makes them so special? For me, it’s always the h/h from the book I’m currently working on. I fall in love with them, and am always sad to say goodbye when the book is finished. And then I start a new one, and begin to fall in love all over again. Which book of those you have written is your favorite, and what makes it so? Again, it’s the book I’m currently working on. It takes me 7 months or so to write a book, so I have to be in love with what I’m doing in order to stay with it. Are you working on something new and exciting right now? I just finished up THE LADY OF THE STORM, book 2 in THE ELVEN LORDS series. I’ll be doing my final edits on it this week, which is always the fun part for me, as I get to revisit the story and characters once again. I think you’ll be able to guess whose story it is once you read THE FIRE LORD’S LOVER. What kinds of books do you read? Any fav authors? I read fantasy, and romance, and any combination of the two when I can find them. That’s not very often, and I think this is why I combine genres. It’s what I’d like to read. Any advice for wannabe writers? I’ve given advice several times on my tour, so I would like to add something new. Be aware of how you are marketing yourself. In your blogs, on your website, amongst your fellow authors. When you sell that first book, and you will, given enough persistence, you are launching your name, not just a book. Readers will want to know what to expect from you. And thank you, Linda, for having me here! I will be popping in all day, and look forward to responding to any comments. Kathryne Kennedy's historical fantasy romances have garnered awards and a growing readership. This exciting new series, set against the lavish backdrops of Georgian and Victorian England so beloved by romance readers, is deliciously dark and exciting. Kathryne Kennedy is a multipublished, award-winning author of magical romances. She’s lived in Guam, Okinawa, and several states in the U.S., and currently lives in Arizona with her wonderful family—which includes two very tiny Chihuahuas. She welcomes readers to visit her website where she has ongoing contests at: www.KathryneKennedy.com. Thanks to Sourcebooks I have 2 copies to give away today. So be free to ask Kathryne any questions any of you have, or comment on the book. Or even ask me what I thought ;) (I gladly tell). I already did tell you, but I sure enjoyed this book. It was the mix of fantasy and historical that did it for me. Do you have any plans on how many you plan to write? Wow, the new book looks very interesting. I haven't had a chance to read any of your work yet, but it is definitely something that will be added to my to-be-read pile. Hi Linda! It's so great to be here today! I'm so glad you enjoyed THE FIRE LORD'S LOVER. It's a world I loved creating. I am contracted to write three books in the series, and I'm just finishing up book 2, THE LADY OF THE STORM. I'll be starting book three at the end of my tour. I can give you a bit of a hint that book two is about the source of magic. And book three is the key to Elfhame. Hi pattepoilue! I really enjoyed answering Linda's interview questions. So great to hear you were excited about reading the book and already went out and bought it! I do so hope you enjoy! Hi Lacy! Great to hear too! Hi there Lacy and Tetewa! Hm, I am pretty sure I know how will be in book 2 now, must check the book to be more sure, and book 3 with the key to Elfhame, liking the sound of that. But I do wanna know, any fantasy authors that you do read? Hi Diana! You are absolutely right! I have always been in love with the fae, the true Sidhe, but when I saw Legolas in LOTR that's when I knew I had to write my own world of the elven. Haven't read the new book yet but really looking forward to it! Appreciate the interview. Surprisingly, I read many of the same authors you mention in your response. Thanks for sharing. Great interview! I can't wait to read this book. Great interview ladies! I'm lovin' the combination of historical and fantasy genres. Makes for something new and has my interest totally piqued. Fantasy is somewhat of a new genre for me but each time I delve in, I'm in love. Great interview ladies! I think I had said yesterday that the book sounds intriguing - the mix of fantasy and historical is a good one! No need to enter me Linda - I don't know what to do with the books I already have. Great interview. Katheryne's book sounds good. I like how the book is a mix of two genres. Hi VampFanGirl! I hope you enjoy diving in to TFLL as well! Thank you for commenting, Darlene. Blodeuedd honey...you are aware you were named for the awards aren't you? Yap, I gave you those awards so come pick them up! Great interview. Fire Lords Lover does sound good. I enjoy both fantasy and historical so this grabs my attention. They are wonderful stories, Linda. BTW, congrats on your award! Naida: Thanks so much for your interest! This is a definite new trilogy for my TRL.I've heard a lot of good things regarding this book so I look forward to reading it. But I did wonder, how did you come up with this idea? To let elves rule England? Not entering, but I'll mention it Friday! Carol L: What a wonderful thing to hear! Thanks so much! 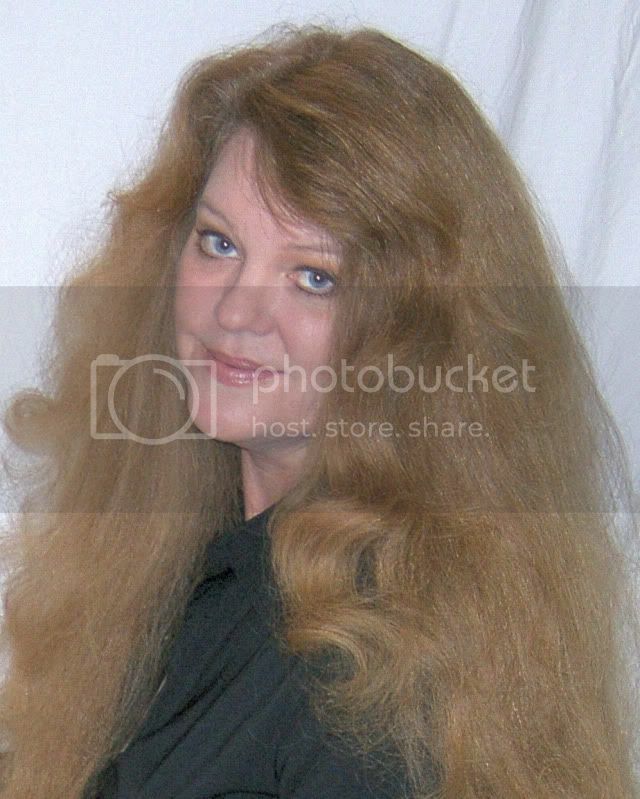 OMGoodness, Linda! It was so very kind of you to stay up so late! To answer your question, I had always loved the Sidhe, and then I saw Orlando Bloom as Legolas in The Lord of the Rings, and THEN I knew that I'd have to write a book inspired by that gorgeous character. I created the alternate world of Elfhame, which is a paradise, and then seven mad elven who hated the boredom of peace and tranquility, stole seven sacred scepters to open the doorway between the worlds again and began to conquer England... Everything grew from that point on. I can't seem to thank you enough for having me here today. It has been such an absolute pleasure chatting with you and meeting your readers. I'm so glad to find those with a passion for the same type of books that I do! Wishing everyone my very best! I just finished My Unfair Lady and LOVED it. I'm adding this one to my TBR list right away. I love your advice for writers, too. The Fire Lord's Lover definitely sounds like a new and inetresting read. I love the concept and story created. Looks like a book I would enjoy reading too! All of my favorite genres rolled into one book. Love the cover. You have no idea how excited I was to see that this was a giveaway! I saw your earlier post about this book and immediately added it to my wish list on paperbackswap, then looked to see if our library was ordering it (they're not so far). I haven't read anything by Kathryne before, but put one of her books on hold at the library because it sounds like just what I need right now. This was a very nice interview. Kathryne - I can't believe it only takes you seven months to write a book! That's fantastic! Anyway, I've been in the mood for more fantasy reading lately, so I'm looking forward to reading some of your books. Hi Amber, Jeantte, Jules, Yvonne thanks for stopping by today! Lol, I sure knew that after my review that I wanted a giveaway too, spread the love a bit. Cos I do love fantasy, and historical books. Legolas would sure inspire me to write too, and I have always found the Sidhe fascinating. Hi Kathryne, Wow, you're busy with all the blogs. Your fantasy sounds fun. Its always great to escape into a fantasy world, whether reading or writing one. Sounds like a deep book.Can't wait to read it. Did you work closely with someone to create the cover; it's wonderful! Great interview! I have THE RELICS OF MERLIN in my TBB! I ordered a copy, since I love the mix of historical and fantasy. Insightful interview -- the author seems very well grounded! You always know how to give us variety! I am glad that you enjoyed the book. And ladies your interview was great! Have a great weekend Honey!!! Thanks for the interview and the giveaway. I had never heard of this author before. I'll have to go try to find some of her books now. I like your interview. Cannot wait to read this book and any upcoming ones. Are you going to continue with your Relics of Merlin series as well? Oh yes this one was sure for me, I am sooo glad I got to read it. I hope you are having a great weekend hon! oooh, i'd love to enter!! i love historical romances that have a little bit of fantasy/magical elements as well!! thank you for the contest! I saw a list that Kathryne had posted about 10 Reasons to be love Dominic and the one that totally got me was the pointy ears. I'm really looking forward to reading this book.